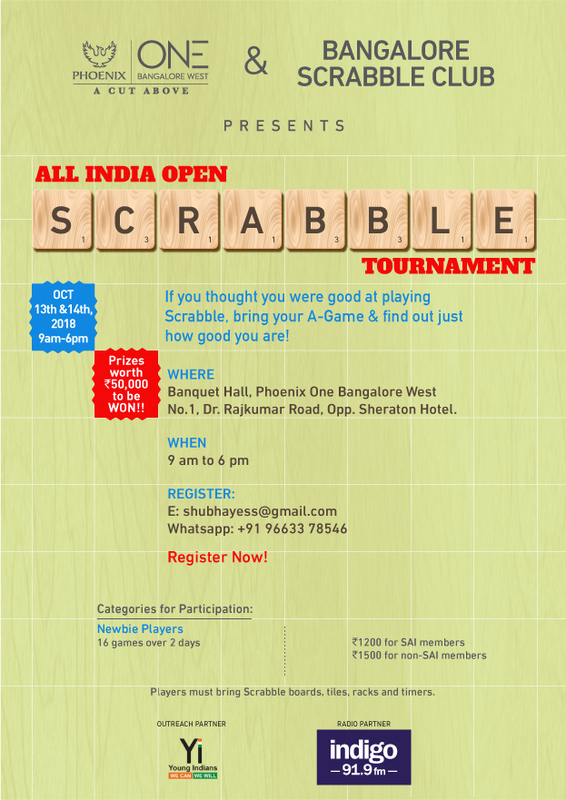 BANGALORE SCRABBLE CLUB IS HAPPY TO INTRODUCE A BRAND NEW ALL-INDIA TOURNAMENT ON THE INDIAN SCRABBLE CALENDAR IN THE GARDEN CITY OF BENGALURU!! 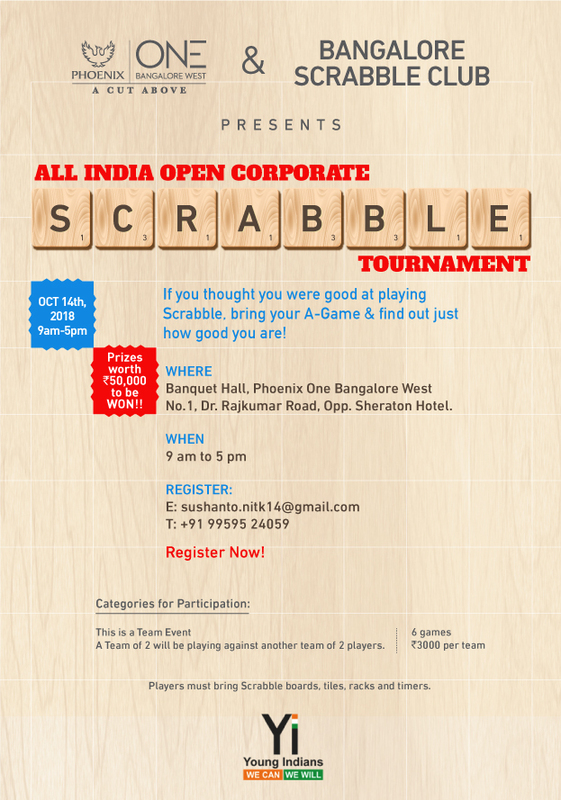 Avail an early bird discount of 200/- by paying on or before September 15th! Please email payment details to m.shankarprasad@gmail.com OR shubhayess@gmail.com after making payment. Clocks would be started at designated start time every day.